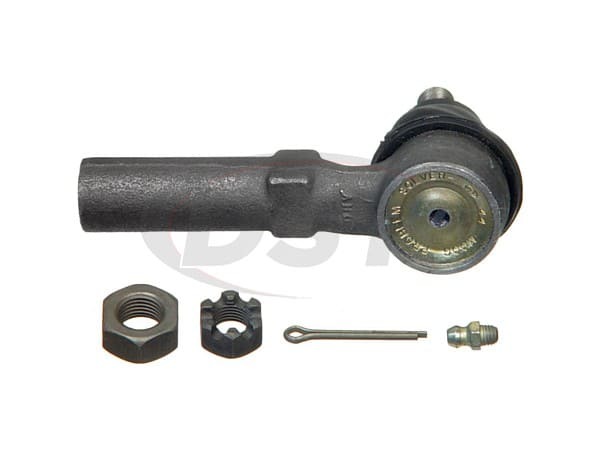 The OE design on the front outer tie rod end for the Windstar is known to fail prematurely. Water and other contaminants get trapped in the lip of the dust boot and leak past the boot retaining ring causing corrosion and wear.  The OE design is not serviceable-meaning you cannot grease them to flush the contaminants out. Once corrosion occurs, the front outer tie rod end will need to be replaced. Here at DST, we know how frustrating it can be when OE equipment doesn't function like it's supposed to. Luckily we have a solution: Moog Problem Solver ES3181RL. Moog's line of problem solver parts targets factory defects or poor original design, replacing them with a better more durable part. 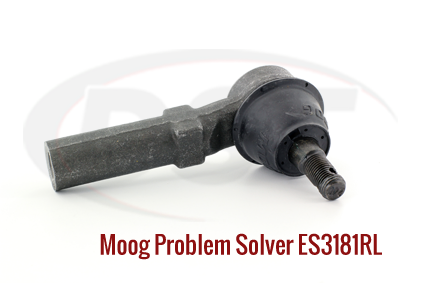 Moog engineered a front outer tie rod end that has a longer service life: ES3181RL. This Problem Solver will help give you the confidence that your suspension is performing as it should be. Unlike the OE design, Moog's Problem Solver ES3181RL has a greaseable design which allows fresh grease to clear any accumulated debris away from the ball and bearing assembly. 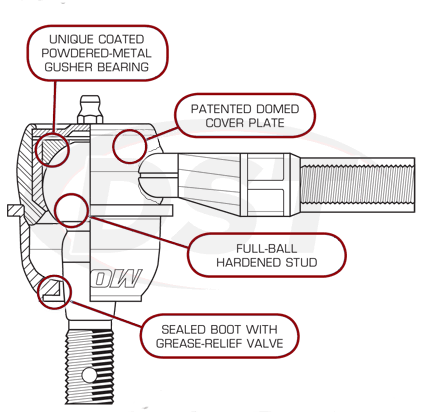 The grease relief valve in the sealed boot shuts out moisture and contaminants while making sure proper fill levels by releasing excess grease. Moog included coated powdered-metal gusher bearing technology to this problem solver that provides a smoother steering feel allows lubrication to penetrate the bearing surface for longer life. Also engineered into >ES3181RL was a domed cover plate and full ball hardened stud to add to the durability of this already hardy part. To get your front outer tie rod end shipped out of our Stephenville warehouse today, give our DST customer service team a call or simply click the live chat button in the corner.